When NASCAR driver Jeff Burton is not racing, you will find him behind a different sort of steering wheel: of a fishing boat out on the open water. 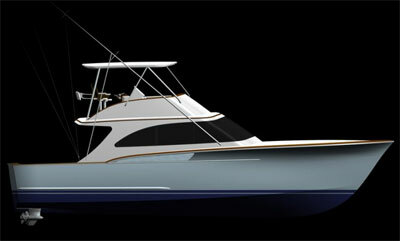 Burton loves to fish so much he is having a dream yacht custom built. The Virginian Pilot reports that Burton is having a 46-foot Hatteras-style sport fishing boat built for him by Jarrett Bay Boatworks in Beaufort, N.C., outfitted with powerful Caterpillar marine engines and Zeus Pods outdrive system. 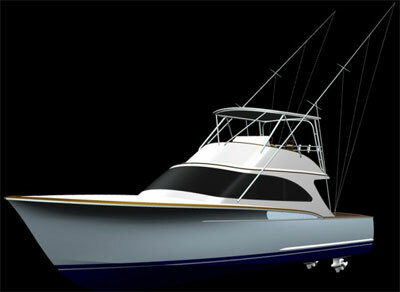 The Jarret Bay Boatworks site features details on the construction of Burton’s boat, scheduled to make its debut at the Miami International Boat Show in 2011. Marlin Magazine has set up a blog to follow the progress of the boat’s construction, complete with YouTube videos.